Does the menu look overwhelming? Looking for a formula to use as a skeleton for your studies in Guatemala? 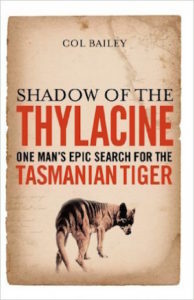 Shadow of the Thylacine is the haunting story of Col Bailey’s relentless search for the Tasmanian tiger. His extensive journey commenced unexpectedly in 1967 when he sighted a Tasmanian tiger along the shores of the Coorong in South Australia. Then, in 1993, a chance encounter with an elderly bushman unlocked a wealth of previously untold information that led Col into the vast and untrodden wilderness of Tasmania’s Weld Valley. Now the truth of this significant discovery can be revealed in this tell-all book about an animal the experts claim is long extinct and couldn’t possibly still exist. A collection of twenty-four short stories that celebrate the history, culture and creativity of Tasmania. In 1972, the pristine Lake Pedder in Tasmania’s untamed south-west was flooded to build a dam. Wilderness photographer Olegas Truchanas, who had spent years campaigning passionately to save the magnificent freshwater lake, had lost his battle. But the campaign, the first of its kind in Australia, paved the way for later conservation successes, and turned Truchanas into a Tasmanian legend. Pedder dreaming quietly evokes the man, the time and the place. Truchanas, a post-war Lithuanian émigré, was a stalwart adventurer, loving family man, activist, thinker, survivor and artist. Told through the recollections of those who were closest to him, Truchanas emerges, as does his influence on early conservation in Tasmania, and the small group of landscape painters, the Sunday Group, who admired his passion for his wondrous landscape. 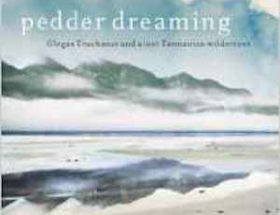 Stunningly illustrated with original Truchanas photographs from the 1950s through to the 1970s, and with artwork from the Sunday Group,pedder dreamingcaptures the brutality, raw beauty and vulnerability of the Tasmanian wilderness and the legacy of one man who had the vision to fight for it. The history of Aborigines in Van Diemen’s Land is long. The first Tasmanians lived in isolation for as many as 300 generations after the flooding of Bass Strait. Their struggle against almost insurmountable odds is one worthy of respect and admiration, not to mention serious attention. This broad-ranging book is a comprehensive and critical account of that epic survival up to the present day. Starting from antiquity, the book examines the devastating arrival of Europeans and subsequent colonization, warfare and exile. It emphasizes the regionalism and separateness, a consistent feature of Aboriginal life since time immemorial that has led to the distinct identities we see in the present, including the unique place of the islanders of Bass Strait. For many years, the Tasmanian wilderness has been the site of a fierce struggle. At stake is the future of old-growth forests. Loggers and police face off with protesters deep in the forest, while savage political games are played in the courts and parliaments. 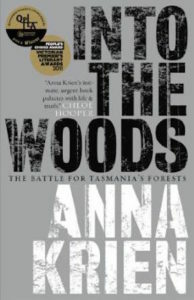 In Into the Woods, Anna Krien, armed with a notebook, a sleeping bag and a rusty sedan, ventures behind the battlelines to see what it is like to risk everything for a cause. She speaks to ferals and premiers, sawmillers and whistle-blowers. She investigates personalities and convictions, methods and motives. This is a book about a company that wanted its way and the resistance that eventually forced it to change. Into the Woods is intimate, intrepid reporting by a fearless new voice. 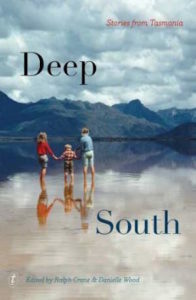 A brilliant account of 200 years of Tasmanian history and an acclaimed writer’s discovery of his secret connection with that island and its past. In Tasmania on holiday, novelist and Chatwin biographer Nicholas Shakespeare discovered a house on a 9-mile beach and instantly decided this was where he wanted to live. He didn’t know then that his ancestor was the corrupt and colourful Anthony Fenn Kemp, now known as ‘the Father of Tasmania’, or that he would find relatives living on the island. The true story of Alexander Pearce, Australia’s most notorious convict. In 1822, Pearce and seven fellow convicts escaped from Macquarie Harbour, a place of ultra banishment and punishment, only to find a world less forgiving.. the Australian wilderness. Abandon all hope you who enter. 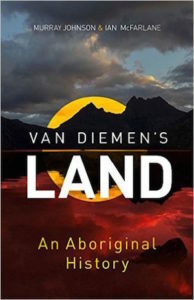 It was only two hundred years ago that Tasmania was a British colony known as Van Diemens Land — and so remote that its only use was as a penal settlement for the most hardened criminals. Times have definitely changed, yet that remote untamed island of history is never far away. 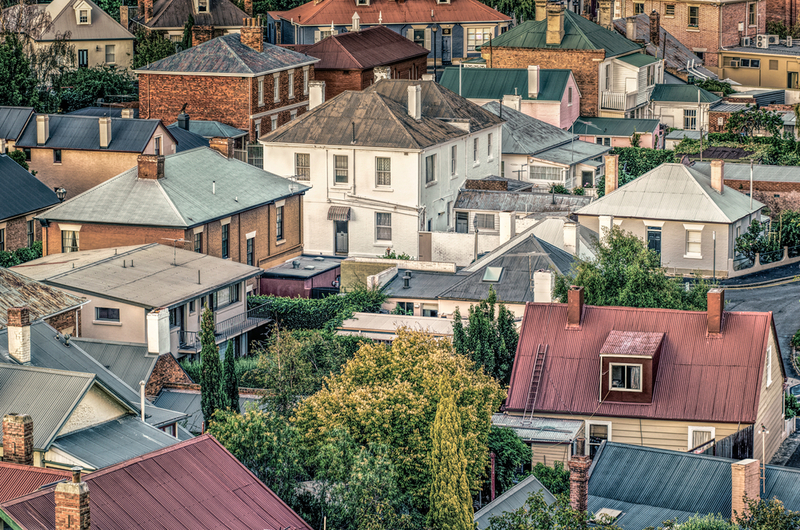 Today Hobart, the capital of Tasmania, is a bustling modern city and busy port. Mount Wellington rises straight out of the city to more than 1200 metres. It’s possible– in just a little over half an hour – to drive from a city centre restaurant to a wilderness where you could freeze to death. Even in summer snow can fall here. 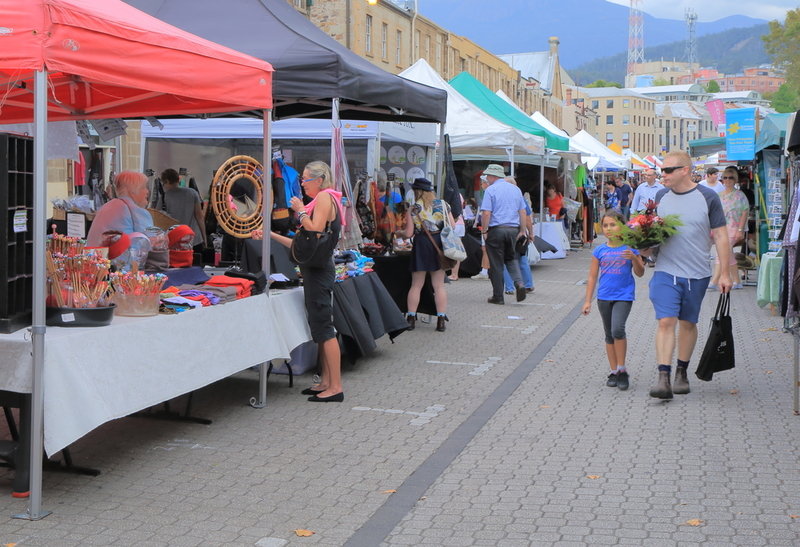 To the people of Hobart, this place is simply The Mountain – a finger of a vast and trackless wilderness pointing right at the heart of the city — so it’s not surprising that Tasmania’s wild heritage plays a central role in the lives of the island’s human inhabitants. The true story of Brant Webb and Todd Russell, who were trapped nearly a kilometer below the surface of the Beaconsfield Mine. The thylacine was the largest known carnivorous marsupial of modern times. It is commonly known as the Tasmanian tiger (because of its striped lower back) or the Tasmanian wolf. Native to continental Australia, Tasmania and New Guinea, it is thought to have become extinct in the 20th century. It was the last extant member of its family, Thylacinidae; specimens of other members of the family have been found in the fossil record dating back to the early Miocene. The thylacine had become extremely rare or extinct on the Australian mainland before British settlement of the continent, but it survived on the island of Tasmania along with several other endemic species, including the Tasmanian devil. Intensive hunting encouraged by bounties is generally blamed for its extinction, but other contributing factors may have been disease, the introduction of dogs, and human encroachment into its habitat. Despite its official classification as extinct, sightings are still reported, though none have been conclusively proven. On December 14th 1982, the Tasmanian Wilderness Society began an on sight blockade of construction work on a dam to flood the Franklin River in south west Tasmania. This action was the culmination of 7 years protest against the proposed dam. The Lake Pedder Conflict video gives an overview of the Lake Pedder conflict that occurred in Tasmania. This conflict was the precursor to the infamous Franklin River conflict and also preempted the formation of famous Australian organisations, The Wilderness Society and The Greens political party. On December 14th 1982, the Tasmanian Wilderness Society began an onsight blockade of construction work on a dam to flood the Franklin River in south west Tasmania. This action was the culmination of 7 years protest against the proposed dam. The Franklin River Blockade 1983, Tasmania tells the story in two parts. Who inhabited Tasmania before the arrival of the explorers? 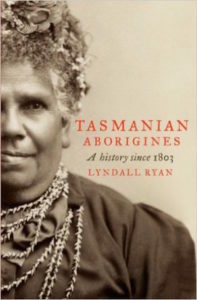 Explore the history of Aboriginal Tasmanians. – How was this culture unique to the mainland aborigines? – What was life before British Occupation? – What was life like after British Occupation of Tasmania? – The “Black War” the first modern Genocide? Begin to expand your understanding of Aboriginal Cultural Heritage and Aboriginal Tasmanians. Tasmania’s convict history tells a tale of crime, punishment, hardship and survival in some of the harshest, yet most beautiful places on earth. Over 70,000 men, women and children were transported from their home to Van Diemens Land in the early 1800s and many of the places and features built during that time are still standing today. Five of Australia’s eleven UNESCO World Heritage-listed convict sites can be found in Tasmania. The Port Arthur Historic Site is Australia’s most famous penal settlement, built on picturesque Mason Cove and surrounded by dense forest while the nearby Coal Mines Historic Site was Tasmania’s first mine, operated by over 500 convicts. Today, mining ruins and relics can be explored among the surrounding bushland. In Hobart, the Cascades Female Factory tells the stories of the thousands of female convicts transport to Tasmania and on Maria Island off Tasmania’s east coast, Darlington Probation Station consists of buildings dating back as far as the 1820s set in a beautiful natural environment. Other convict highlights around the state include Sarah Island in Macquarie Harbour, the convict built bridge in Richmond and the recently constructed memorial convict trail in Campbell Town. As well as these, there are lots more convict sites across the state, including roads, bridges and buildings and carvings such as The Wall in the Wilderness near Lake St Clair – in fact, a visit to just about any early town will reveal the hard labour and skilled craftsmanship of Tasmania’s convicts. Visit as many convict sties as possible. Study the way of life and all the hurdles they faced and overcame. How does this history impact Tasmania today? Hydro Electric Commission – the 1940s and 1950s there had been a hydro-industrialisation initiative embodied in the state by Hydro Tasmania. These all have had varying fortunes over the last century and more, involved in ebbs and flows of population moving in and away dependent upon the specific requirements of the dominant industries of the time. Processed metals – Production of metals brings more than 1.3 billion Australian dollars into Tasmania every year. The largest processors of minerals are Nyrstar, the current owners of a zinc smelter on the Derwent River in Hobart, and aluminium producers on the Tamar River at Bell Bay in the north. Forestry – From the early days of first European settlement in 1803 a succession of products have been produced from Tasmanian forests. Initially these included shingles, split posts, rails, palings and pit hewn lumber. In the latter half of the past century water and steam powered sawmills became established and in the current century sawmill technology has become increasingly sophisticated. The pulp and paper industry which developed in the late 1930s has experienced turbulent times. Finally, the controversial wood chip export industry commenced in 1972. Examine the impact of the Hydro, mining and forestry around Tasmania. Visit the Styx River Reserve and The Florentine Valley the site of the longest environmental protest to protect the now World Heritage areas. What have been the implications, positive and negative, of the impacts on Tasmania? Are these industries still improving the economy? Analyze the costs and benefits. 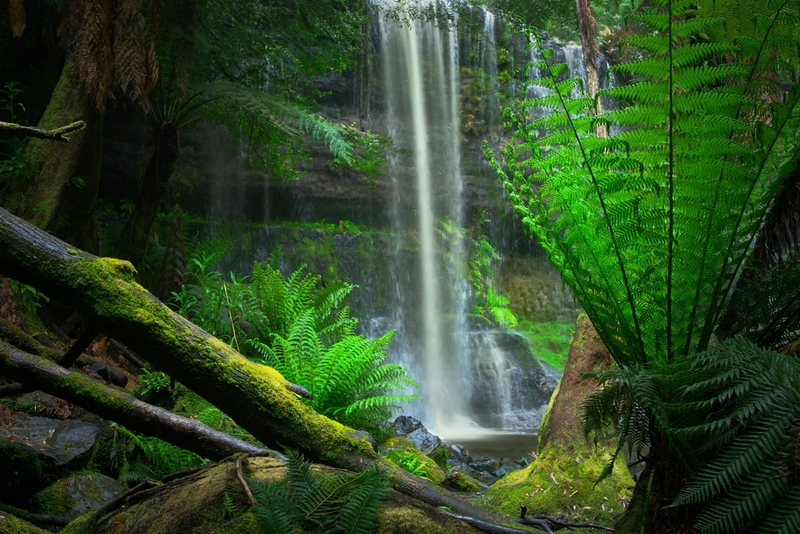 The Tasmanian Wilderness is one of the largest conservation reserves in Australia. At approximately 1.6 million hectares it is one of the three largest temperate wilderness areas remaining in the Southern Hemisphere. The region is home to some of the deepest and longest caves in Australia. It is renowned for its diversity of flora, and some of the longest lived trees and tallest flowering plants in the world grow in the area. The Tasmanian Wilderness is a stronghold for several animals that are either extinct or threatened on mainland Australia. 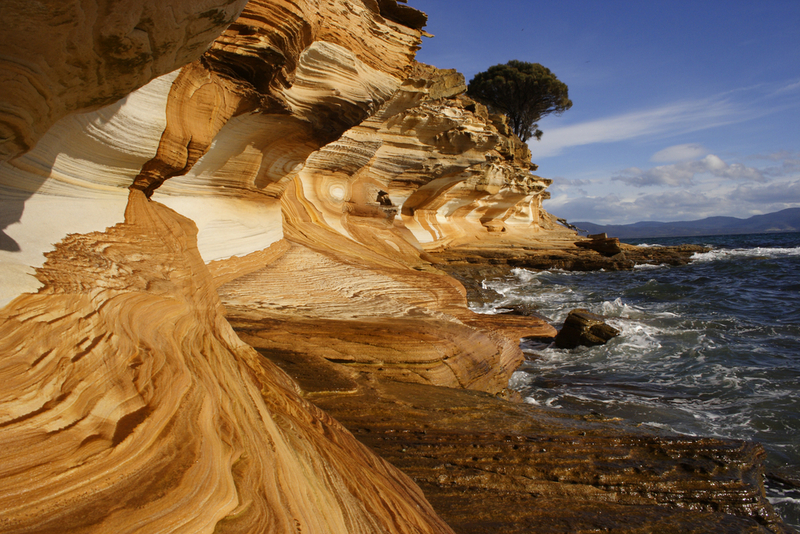 The Tasmanian Wilderness contains hundreds of archaeological sites, including many cave sites dating from the late Pleistocene and early Holocene epochs. The earliest cave sites are evidence of what are currently understood to be the southern-most people in the world during the last glacial period, who were part of the forefront of the first expansion of modern humans across the globe. The Tasmanian Wilderness was inscribed on the World Heritage List in 1982 and extended in 1989, June 2010, June 2012 and again in June 2013. The Tasmanian Wilderness was one of 15 World Heritage places included in the National Heritage List on 21 May 2007. 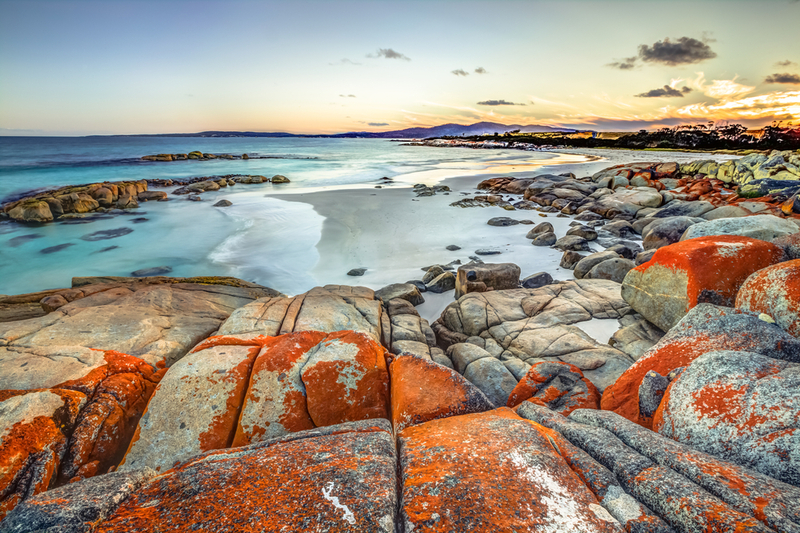 The rugged and spectacular landscapes of the Tasmanian Wilderness contain rocks from almost every geological period, the oldest being formed about 1,100 million years ago during the Precambrian period. Some of the deepest and longest caves in Australia and other spectacular karst landscapes are found here. Due to the diversity of its vegetation the region is recognised as an International Centre for Plant Diversity by the International Union for Conservation of Nature (IUCN). The highly varied flora, ranging from open and closed forests through to buttongrass moorland and alpine communities, occurs in a unique mosaic of Antarctic and Australian elements. The Antarctic element consists of species descended from those present on the supercontinent Gondwana. Some of the longest lived trees in the world such as Huon pines (Lagarostrobos) and other native conifers grow in the area. Nothofagus is an ancient plant genus of Gondwanan ancestry, represented in the area by N. cunninghamii and Australia’s only winter deciduous tree, N. gunnii. Some of the tallest flowering plants in the world, Eucalyptus regnans, grow here. The area contains approximately 264, or 65 per cent, of Tasmania’s endemic vascular plant species. The fauna is also of global significance because it includes an unusually high proportion of endemic species and relic groups of ancient lineage. The diverse topography, geology, soils and vegetation, in association with harsh and variable climatic conditions, combine to create a wide array of animal habitats. Many groups of marsupials and burrowing freshwater crayfish have survived as relics of the Gondwanan fauna. The insularity of Tasmania, and of the Tasmanian Wilderness in particular, has contributed to its uniqueness. The area remains a stronghold for several animals such as the Tasmanian devil, Tasmanian pademelon, eastern quoll and ground parrot that are either extinct or threatened on mainland Australia. The Tasmanian Wilderness World Heritage Area is home to the last wild breeding population of the critically endangered Orange-bellied Parrot. There may be less than 50 Orange-bellied Parrots in the wild currently. Fauna endemic to the region include the moss froglet, Pedra Branca skink, Pedder galaxias and invertebrate groups with a high proportion of species entirely or primarily restricted to the area, such as freshwater crayfish, mountain shrimps, stoneflies, caddisflies, landhoppers and harvestmen. Examine the factors that have threatened Tasmania’s natural resources is the past and what continues to threatens Tasmania natural places. 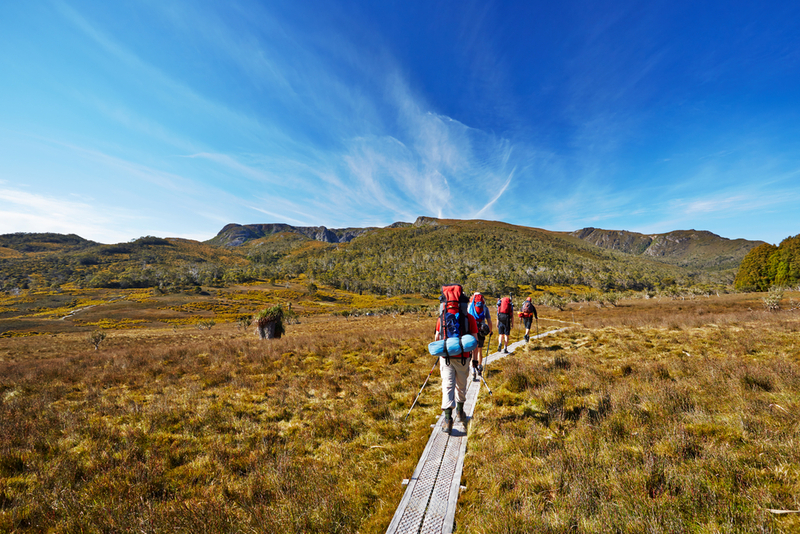 Study an aspect of the Tasmanian Wilderness that interests you. Examine the natural wealth of the region and produce a project based on what you are learning. Produce an article, or a video project that focuses on preservation or the uniqueness of some aspect of the site. Education is the first step to understanding, tell one of the many stories to be uncovered and share it with the world. Examine the red tape and attempts at its reduction. How has this impacted small business in Tasmania. Examine the pros and cons of the investments from Asia, especially Chinese investment impacts. As you travel look for ways that communities are transforming themselves with eco-sustainable tourism. Interview several people involved in this industry and ask questions related to industry growth, community and environmental impact, as well as the economic future of the county. Conduct a series of at least five interviews within a country. The point of the exercise would be to get a well rounded view of what it is like to live in Tasmania from a variety of ages, incomes, employments and experiences. This could be conducted as video, or as text and the student would be expected to do an analysis of the experience/information. There had been a decline in manufacturing during the 1990s, leading to a drain of some of the island’s trained and experienced working population to mainland Australia. The major urban centres such as Melbourne and Sydney are popular destinations. Explore the crisis of youth unemployment. Tasmania has the highest youth unemployment rate in Australia ranging between 15-21% through some regions. Read Big Thought & a Small Island, in The Griffith Review, as a starting point for your research. 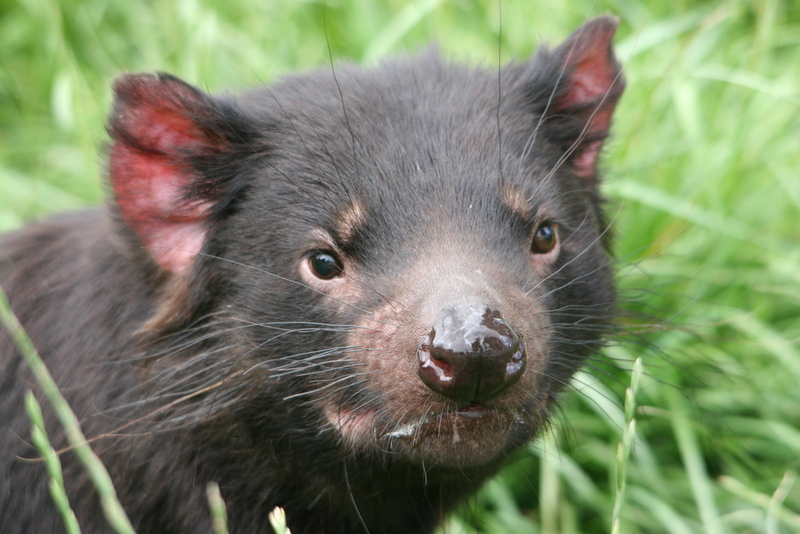 Facial Tumor Disease represents a crisis for the famous Tasmanian Devil. Research what causes it and the lengths taken to save the Tasmanian Devil populations. Perhaps visit a zoo, or a conservation site to interview those most intimately involved with the efforts. Why does this work matteR? The platypus is an animal unique in the world and unique to this continent. Platypus Fungal Disease is a serious health crisis for the creatures. How does this affect the Tasmania playtupus populations and their survival? What is being done to stem the growth of the disease? Interview the conservationists involved in the work and examine the strategies being employed. Tasmania has passed laws regulating protest freedoms. Examine the consequences of this legislation. Visit Florentine Camp and read about the longest standing blockade. How will this impact the protection of our wild places? Compare and contrast to the protest legislation elsewhere in the first world. This is a list of ideas for projects that you can take and run with. In order to get credit for these projects there needs to be an “output” of some measurable sort. Common options would include a video project, a blog post, an essay, a published piece of work, or a certificate of some sort documenting the experience (in the case of a class taken). Document the experience of trying at least five brand new foods during your stay (a fun photo essay? or video?) Take it up a notch and learn to cook something local. Enroll in actual cooking classes, or learn from a local friend. Find a way to document this experience. There are numerous volunteer opportunities available, both advertised on line and unadvertised locally. Look for them at a school, a social project, an NGO, conservation projects, building projects, or something entirely different. One way to learn more about a country or culture is to study the religious aspect of life. Attend a church service, visit a shrine, or an indigenous ritual. Visit a religious festival or event. Or, if you’re very lucky, score an invitation to a wedding or funeral for a window into the way that religious ritual is woven into the fabric of life. Compare and contrast this to your other experiences, at home and abroad. 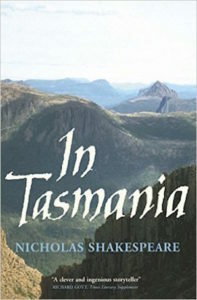 What did you learn about Tasmania, or Tasmanians as a result of this experience? How did it make you feel? What did you learn about yourself? Underwhelmed by career opportunities and options in her semi- rural hometown Fiona rejected the acceptable path of formal education and instead, after graduating High School, Fiona pursued a life of travel and adventure. Fiona knows firsthand that, “Travel has opened up opportunities and possibilities which I never imagined for myself.” Living now with her husband in Tasmania Australia where they foundered and run their own sustainable adventure tourism company Tassie Bound Adventure Tours they still make travel a priority as they schedule in at least one adventure abroad every year. 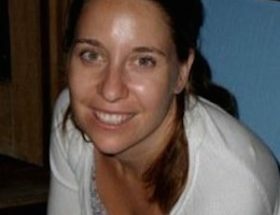 Fiona also writes and speaks and hopes to raise the profile of travel as widely acceptable educational alternative.